When the Arizona Diamondbacks announced their minor league coaching staffs for the 2014 season on December 20, former Revolution third baseman Vince Harrison was ticketed for the rookie level Arizona Summer League as hitting coach. Turns out, he’s been re-assigned to the D-backs affiliate in the Pioneer League, the Missoula (Montana) Osprey, also classified as rookie ball. 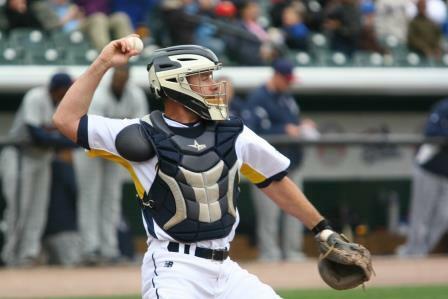 Harrison’s most recent professional coaching job was with the Pittsburgh Pirates, where he spent the 2012 season on the staff of the Class A West Virginia Power in the South Atlantic League. His brother Josh Harrison remains with the Pirates, mostly in a Major League capacity at third base. 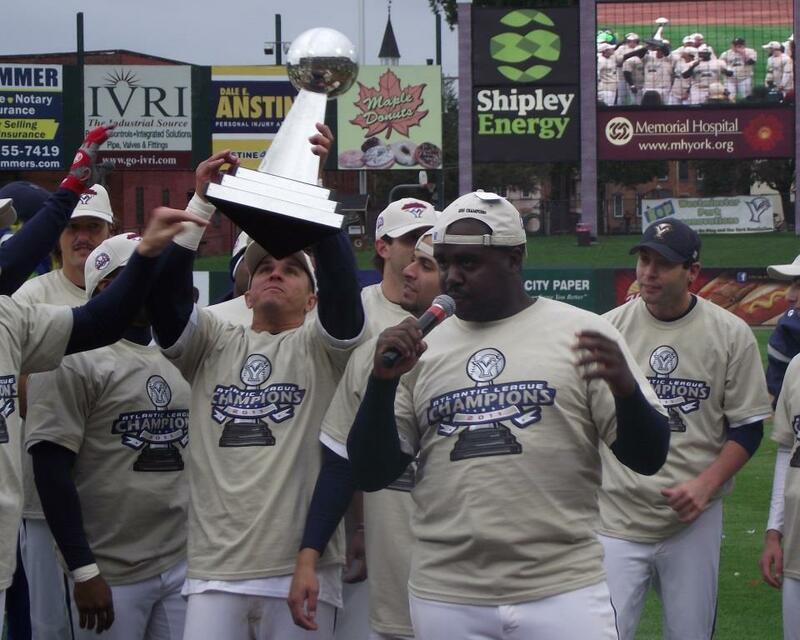 Harrison, 34, retired as a player after being named the 2011 Atlantic League Playoffs MVP, batting over .500 in the four-game Championship Series win over Long Island, capping York’s second consecutive title. He was drafted by Tampa Bay in 2001 following a collegiate career at Kentucky, where he was also a wide receiver on the football team in addition to baseball. The dreaded off-season…continues. But fear not, despite news being a little slower this time of year, we have plenty of content to keep you occupied here at BlogToBlogChamps. Each Monday, we’ll publish a feature from the 2013 York Revolutionary Times, the official game day magazine of the York Revolution for you to re-enjoy, or read for the first time in case you missed it at the ballpark. 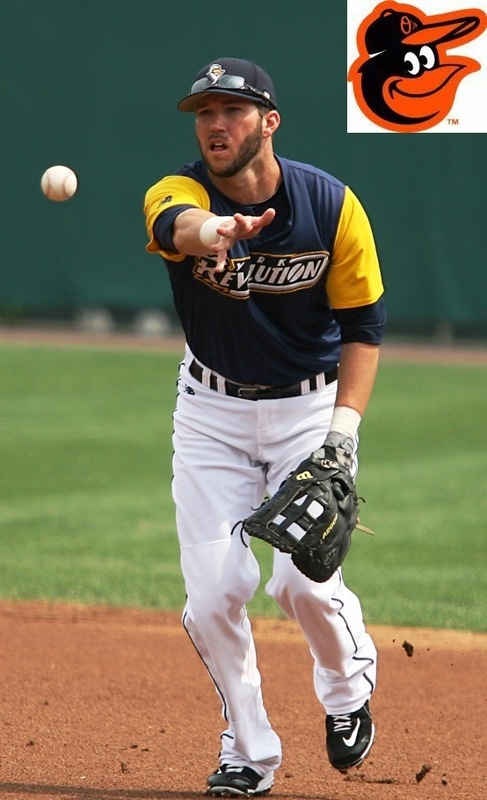 For our final installment of the off-season, Ron Gardner spoke with each Revolution player who had played in the Majors as last season ended, and they each reminisced about their first day in the show. It’s hard to pinpoint the exact moment when a young man first dreams about playing in the big leagues. Perhaps it was when he received his first baseball glove or plastic wiffle ball bat. Or when he got his first Little League hit or struck out his first batter. Maybe it was when he made the varsity team in high school or when a college coach first said he was good enough to keep playing at the next level. But in every case, making it to the Major Leagues involves years of brutally hard work on dusty, scorching hot baseball diamonds and sweaty weight rooms and commitment measured not just in countless swings and throws, but also injuries and surgeries. For nearly every player who makes it to “The Show,” it has truly been a lifetime effort. Eight current members of the Revolution ultimately succeeded in making their Major League dreams come true. The memories of that special day when each player made his big league debut remain truly powerful and compelling years later and for most, simply cannot be shared without a broad smile. The dreaded off-season…continues. But fear not, despite news being a little slower this time of year, we have plenty of content to keep you occupied here at BlogToBlogChamps. Each Monday, we’ll publish a feature from the 2013 York Revolutionary Times, the official game day magazine of the York Revolution for you to re-enjoy, or read for the first time in case you missed it at the ballpark. This week, re-visit the decision Patrick Arlis had to make back in July, to cut his season short with the Revolution and retire in order to start his next career as a teacher. Forgive Patrick Arlis if he isn’t as emotional as you’d expect 20 minutes after his (first) career ended. It helps to know that Arlis, even in his 12th professional season, still seems somewhat surprised he was able to play professional baseball at all. Arlis had to call it a career after the Revolution’s home game on July 28 against Sugar Land. He holds a Master’s Degree in elementary education, and had his eye on a possible phys-ed teaching job for a while. An offer to interview for this school year came unexpectedly in June, and once Arlis was approved by the school board on July 17, he decided he’d end his baseball career to teach fourth, fifth and sixth graders 10 minutes from where he lives in Bourbonnais, Illinois, 70 miles south of Chicago. While he had planned to be with the Revolution all season, the timing of the school year in Illinois beginning on August 19 made that impossible. 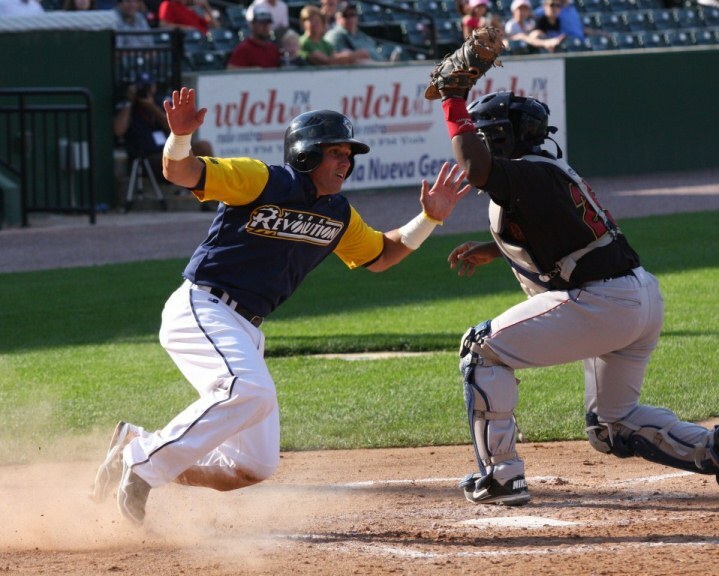 Liubiemithz Rodriguez, whose four seasons in a Revolution uniform are eclipsed by only Corey Thurman, has retired as a player to join the Milwaukee Brewers organization as a minor league coach. Rodriguez, 37, a native of Caracas, Venezuela had been transitioning into a career in coaching since the beginning of the 2012 season, when he returned for his final season in York as a player and infield coach on Andy Etchebarren’s staff. 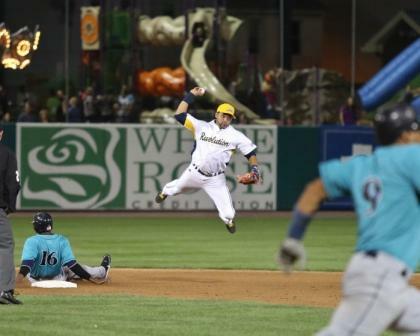 Rodriguez is largely credited with helping second baseman Andres Perez that season after some early throwing error woes – so much so that Perez turned into one of the steadiest fielders in the league and was an MVP candidate in 2012 and 2013. Rodriguez will begin with the Brewers Rookie level team in the Arizona Summer League in June following extended spring training. The fact he’s bi-lingual and speaks very good English should benefit him in working with a variety of players. 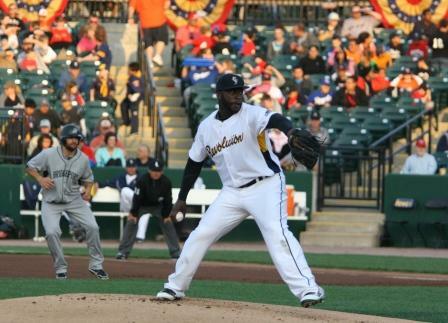 Last season, Rodriguez played overseas in the Italian Baseball League. Typically they play just twice a week there, easing him into his new role. Despite his part-time player status and coaching responsibilities in 2012 however, Liu went out on a high note, batting .329 in 64 games with three homers and 39 RBI. For Rodriguez getting into coaching was a goal he’d been shooting for dating a few years back; our Ron Gardner profiled his career and coaching aspirations in 2012. Liu logged his only Major League time in 39 games for the White Sox in 1999, and has one MLB home run and 12 RBI to his credit.